I. “Consumer” means a natural person who seeks or acquires, or is offered property, services or credit for personal, family or household purposes. obligation is payable in 4 or more installments or for which credit a finance charge is or may be imposed. The term includes consumer credit sales, consumer loans, consumer leases of personal property and transactions pursuant to a seller or lender credit card, but shall not include leases of real property. III. “Consumer transaction” means a transaction between a consumer and a person who sells, leases or provides property, services or credit to consumers. The term shall not include leases of real property. IV. “Creditor” means a person who in the ordinary course of business engages in consumer credit transactions with consumers. and defer its payment, or purchase property or services and defer payment therefor. VI. “Debt” means any obligation or alleged obligation arising out of a consumer transaction. VII. “Debtor” means a person who owes or allegedly owes an obligation arising out of a consumer transaction. (c) Any person who, pursuant to an assignment, sale or transfer of a claim against a consumer, engages in any direct or indirect action, conduct or practice to enforce an obligation that is owed or due, or alleged to be owed or due, by a consumer as a result of a consumer transaction. IX. “Finance charge” means a charge such as interest, fees, service charges, discounts and other charges associated with the extension of credit. X. “Person” means an individual, corporation, trust, partnership, incorporated or unincorporated association or any other legal entity. N.H. Rev. Stat. Ann. §§ 358-C:1 (West, WESTLAW through End of 2004 Reg. Sess.). The U.S. Congress enacted the FDCPA in 1977 and added it to the Consumer Credit Protection Act in 1978. Its purpose is to eliminate abusive practices of third-party debt collectors. To that end, the Act establishes guidelines for the conduct of debt collectors, defines the rights of consumers, and prescribes penalties for violations. “Consumers” and “debt” covered under the FDCPA are defined as specifically referring to personal, family or household transactions. Therefore, debts owed by businesses or by individuals for business purposes (commercial debts) are not subject to the FDCPA. So, if the FDCPA does not apply to commercial debt collection by third parties, how are commercial collectors regulated? There are no U.S. federal laws, similar to the FDCPA, that regulate third-party commercial (business-to-business) debt collection or provide guidelines for the conduct of commercial debt collectors. Who is protecting the rights of commercial creditors and debtors? The premier body governing the activities of commercial debt collectors is the Commercial Collection Agency Association (CCAA), an arm of the Commercial Law League of America (CLLA). These organizations are not government bodies, nor do they have any jurisdiction over non-members. However, both require high standards of practice and ethics in order for a commercial collection agency to become a certified member. The Commercial Collection Agency Association was established in 1972 to “improve the quality and reputation of the commercial collection industry.” It currently has more than 200 members. Approximately 100 core members represent the most prestigious commercial collection agencies in the United States. The CCAA is an arm of the Commercial Law League of America (CLLA), the oldest creditor’s rights organization in the country established in 1895. Members of the CCAA are the only collection agencies in the United States certified by the Commercial Law League of America. In order to obtain certification, the agency must meet rigorous criteria. The agency must have been in business at least four years prior to application for membership. 80% of the agency’s business must be commercial (business-to-business). The agency must maintain a separate Trust Account into which all monies belonging to creditors are placed. This Trust Account is reviewed twice annually by the Executive Director of the CCAA. The agency must agree to abide by the CCAA Code of Ethics, which sets ethical standards for dealing with creditors, debtors and attorneys. Executives of the agency must meet continuing educational requirements and attend regular CCAA meetings. The member agency must complete sixty continuing educational credits annually. The agency must post a surety bond of at least $300,000 for the protection of the creditors it serves. One person in the agency must also be a member of the Commercial Law League of America. The agency must agree to random periodic site visits from the CCAA Executive Director. The agency must be in compliance with all local and state licensing requirements and regulations governing commercial collection firms. Primarily, the Commercial Law League of America and its Commercial Collection Agency Association have assumed responsibility for looking after the needs and rights of creditors and their customers/debtors. State governments that require licensing and bonding of commercial debt collectors also play an important role. 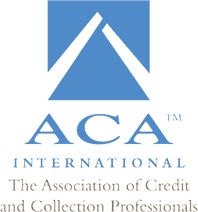 However, since membership in the CCAA is not compulsory, and some firms may provide collection services in a state but never get licensed, it is up to creditors to ensure they (and their debtors) are receiving the most ethical and highest level of commercial collection service. How? Check to see if your Agency is both a member of the Commercial Collection Agency Association and therefore certified by the Commercial Law League of America, and is licensed in the U.S. states requiring such licensing. Burt And Associates is a member of both CCAA and CLLA. Also, we are licensed in bonded in all 50 states (where required).